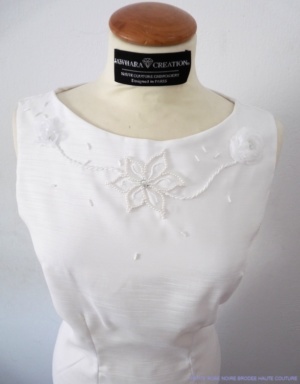 Little White Dress embroidered with a garland of flowers on the collar of the dress. 100% Wild Silk. Round neck - invisible zipper back - back hem 4 cm 1 cm. 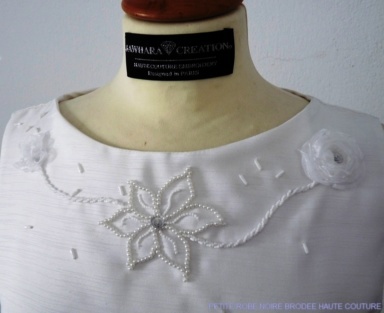 Lunéville embroidery: Installation of white pearls and Point de Beauvais. Needle embroidery: Embroidery Ribbon Stem stitch beads.